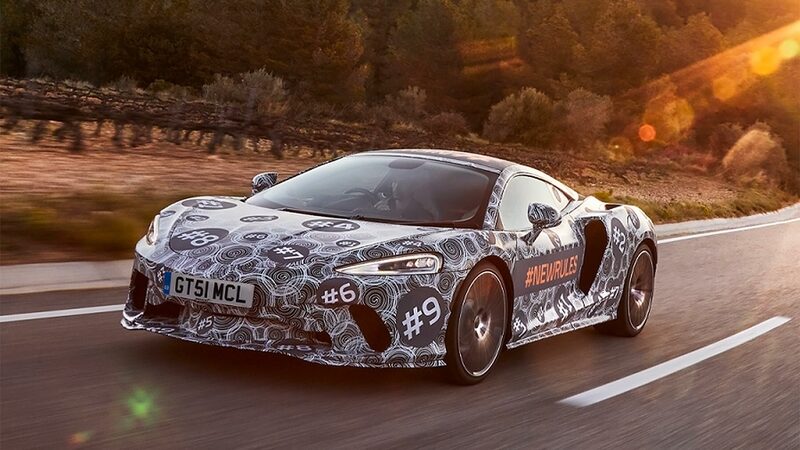 McLaren will reveal its new ‘Grand Tourer’ in May and, in readiness, has released a new set of images that show the new GT starting to lose its camouflage. It’s still disguised by a shrink-wrapped livery, but the ‘shape-changing’ additional body panels are now gone. This gives a first look of the car’s overall form. Compared to McLaren’s sports cars, the GT appears larger and more substantial. It has fuller surfaces and a more accommodating cabin. The distinctive, aero- and intake-packed front end of the bold 720S is out, and a more understated and refined appearance seems to be in. The scrappy rear end of the disguised test mule has been uncovered, showing a much cleaner and more curvaceous tail, complete with distinctive LED light bar stop lights. The rear deck takes on a smooth, GT shape, to again contrast with aerodynamics-chasing Sports Series cars. 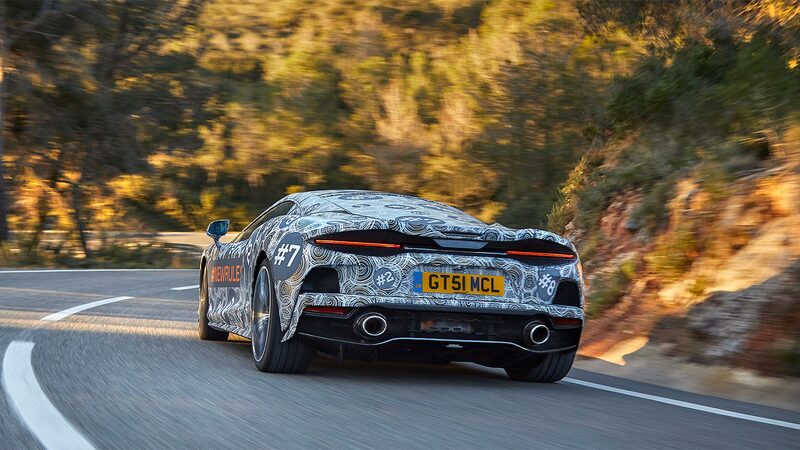 Overall, the shape appears more focused on elegance, compared to the ‘noisier’ look of the 570S and 720S. Expect to see more than a little McLaren Speedtail influence in there. A rival to cars such as the Lamborghini Aventador and Ferrari 812 Superfast, the big new GT is McLaren’s first grand tourer. It was confirmed at the 2019 Geneva Motor Show last month. McLaren Automotive CEO Mike Flewitt said the twin-turbo V8 will combine continent-crossing ability with “a level of agility never experienced before in the luxury grand tourer segment.